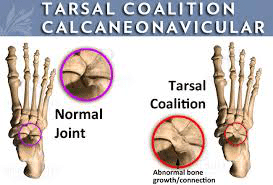 A tarsal coalition (also known as peroneal spastic flatfoot, calcaneonavicular bar, talocalcaneal bar, tarsal synostosis, or tarsal dysostosis) is an abnormal connection that develops between two bones in the back of the foot (the tarsal bones). This abnormal connection, which can be composed of bone, cartilage or fibrous tissue, may lead to limited motion and pain in one or both feet. 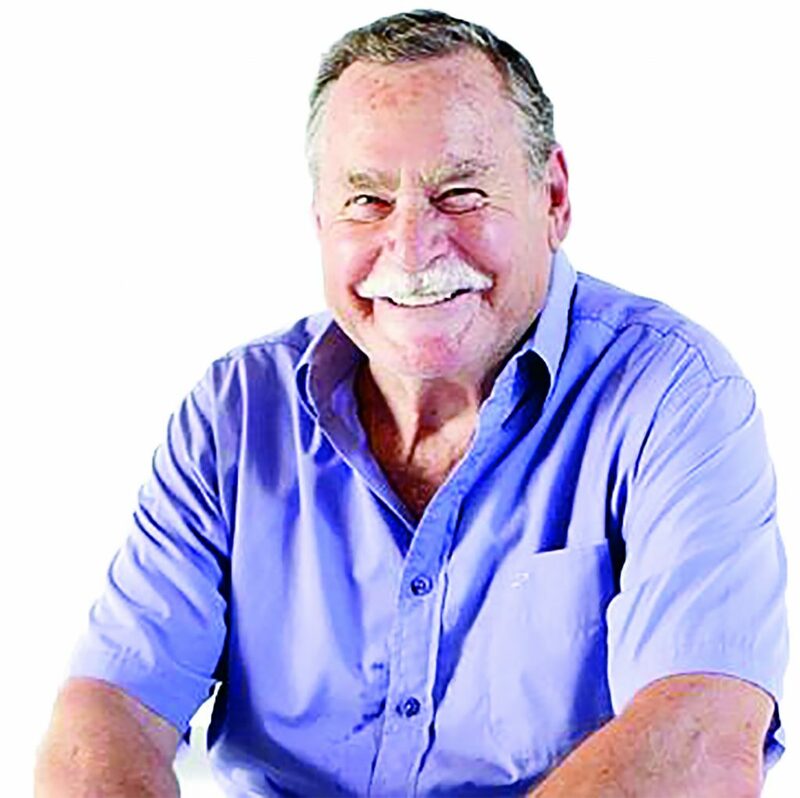 The term ‘coalition’ means a coming together of two or more entities to merge into one mass. The tissue connecting the bones, often referred to as a “bar”, may be composed of fibrous or osseous tissue. 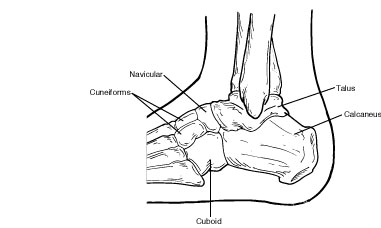 The two most common types of tarsal coalitions are calcaneo-navicular and talo-calcaneal, comprising 90% of all tarsal coalitions. There are other bone coalition combinations possible, but they are very rare. 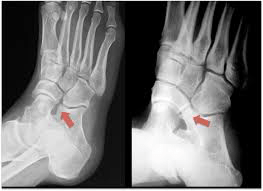 Symptoms tend to occur in the same location, regardless of the location of coalition: on the lateral foot, just anterior and below the lateral malleolus. This area is called the sinus tarsi. 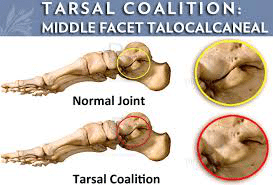 Most often, tarsal coalition occurs during fetal development, resulting in the individual bones not forming properly. 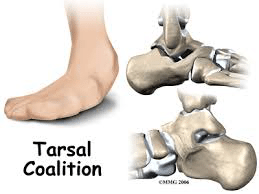 Less common causes of tarsal coalition include infection, arthritis or a previous injury to the area. The birth defect responsible for tarsal coalition is thought to often be an autosomal dominant genetic condition. This means that if you have a parent with the disorder it is highly likely to be passed on to offspring. While many people who have a tarsal coalition are born with this condition, the symptoms generally do not appear until the bones begin to mature, usually around ages 9 to 16. Sometimes no symptoms are present during childhood due to the flexible and soft nature of soft tissue and bones while growing. However, pain and symptoms may develop later in life. 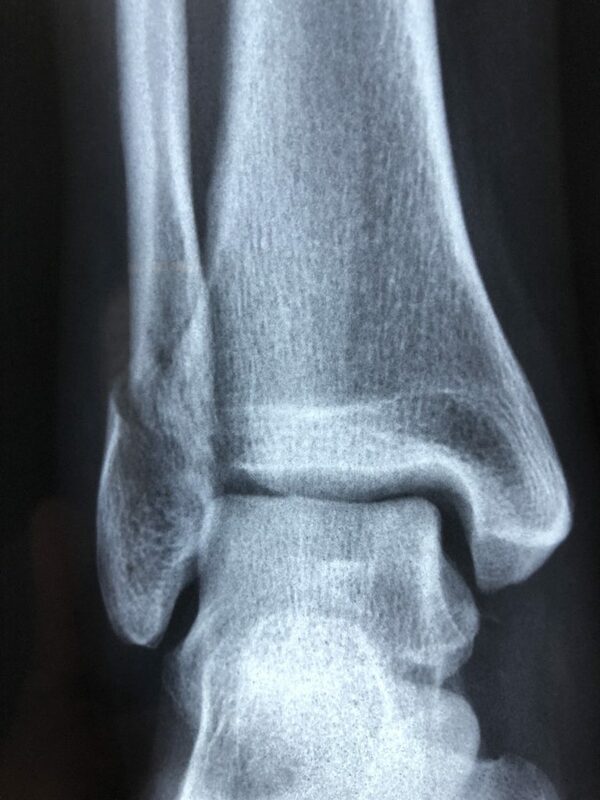 In addition to examining the foot, your Podiatrist will order x-rays. 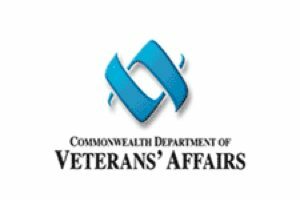 Advanced imaging studies such as MRI’s or CT scans may also be required to fully examine the presenting condition. Orthotic Therapy. Custom orthotic devices can be beneficial in distributing weight away from the joint, limiting motion at the joint and relieving pain. Immobilization. Sometimes the foot is immobilized to give the affected area a rest. The foot is placed in a cast or cast boot or a Trilok ankle brace. Localised Injection Therapy. Injection of an anaesthetic into the leg may be used to relax spasms and is often performed prior to immobilization. If conservative therapy fails to relieve the patient’s symptoms surgery is an option. The foot and ankle surgeon will determine the best surgical approach based on the clinical presentation, diagnostic imaging, the patient’s age, condition, arthritic changes and activity level. At the Foot and Ankle Clinic our highly qualified team of Podiatrists are all members of the Australian Podiatry Association and offer a combined 50 years’ experience. They are trained to diagnose and effectively treat Tarsal Coalitions via a range of effective treatments.